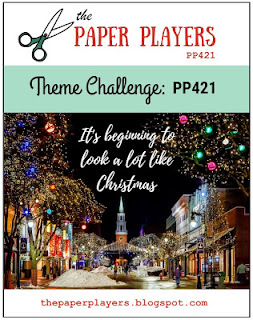 Jaydee's theme challenge this week at The Paper Players is very timely indeed. It certainly is beginning to look a lot like Christmas! In our family, the decorations go up on 1 December and that's what happened yesterday. Is it looking a lot like Christmas at your place too? This year has been the year of the screen card for me. I saw one whilst sightseeing on Pinterest and I was captivated. 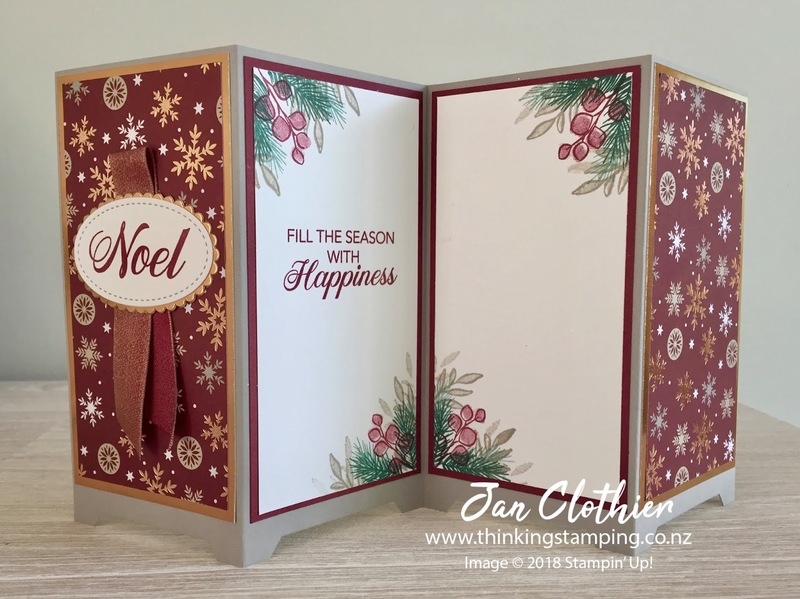 I've made several and even included one in my Festive Fancy Folds class last weekend. Clearly, they're still on my mind as this is what turned out when I started playing around at my desk to make something for this challenge! 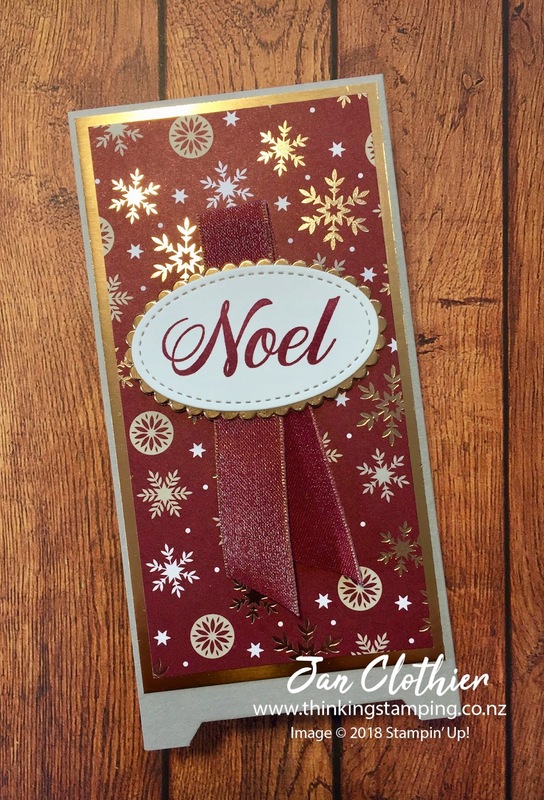 Peaceful Noel is still my favourite Christmas set from the current Holiday Catalogue. 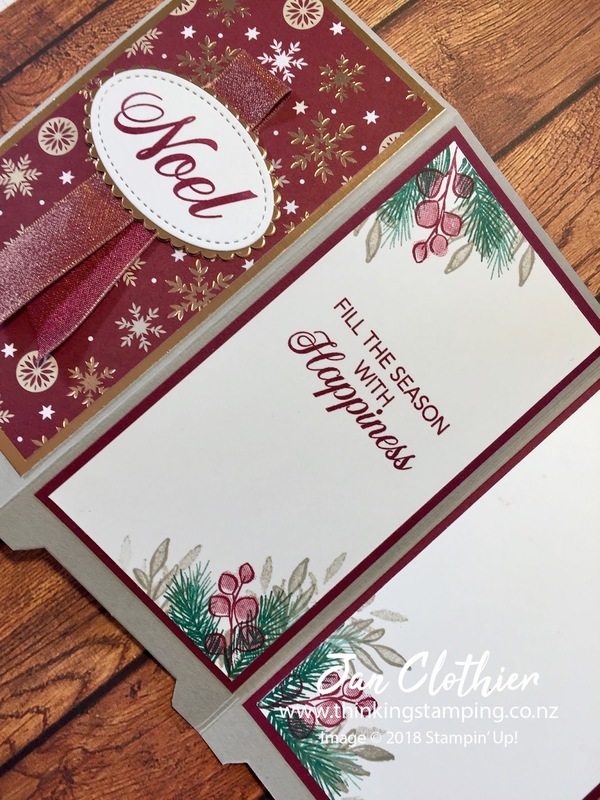 I love all those little foliage and berry stamps and the way they can be arranged and stamped. Plus the DSP is just glorious, with the copper accents. One thing I really like about screen cards is the way they close up to fit inside a standard envelope, then open out like a small book. The rest of the team at have done wonders with this theme, so why not pop over to The Paper Players and see what they've done, then play along with us. Provide a link back to The Paper Players in your post. Please take note of these few rules, as entries that do not comply will be deleted from the gallery.